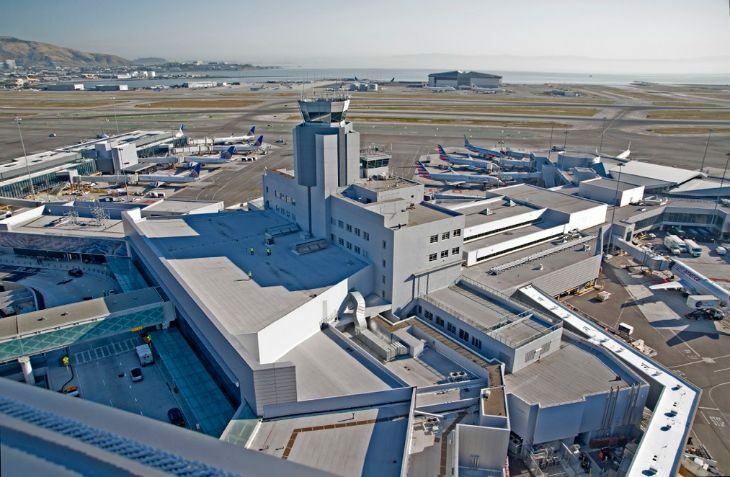 Starting this month, the old air traffic control tower at San Francisco International Airport will come down, making room for a new outdoor public observation deck– a rarity at U.S. airports. Last year SFO opened its shapely new control tower, making the old one obsolete…and a barrier to the full apron view required from the new tower. So starting this month the old tower will be removed progressively with the aid of a crane, along with scaffolding on the upper floors of the building. Construction teams plan to have the top “cab” section of the former tower removed by the end of March. 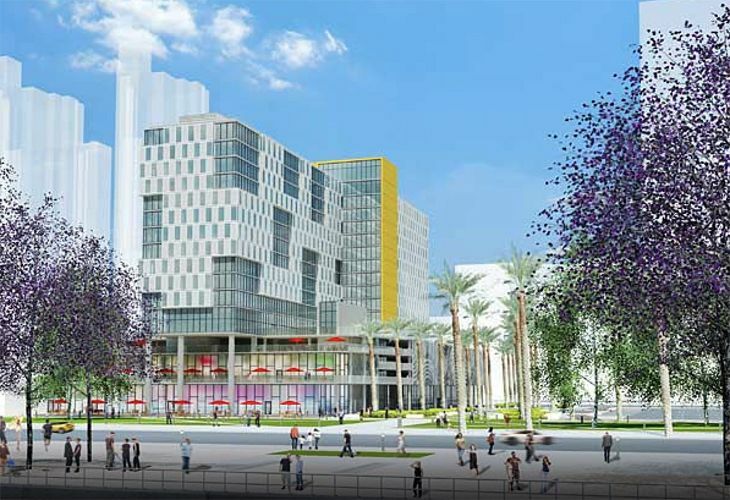 The project, budgeted at $55 million, will also remove the base structure below the former tower, which dates back to 1954 and does not meet current seismic requirements. 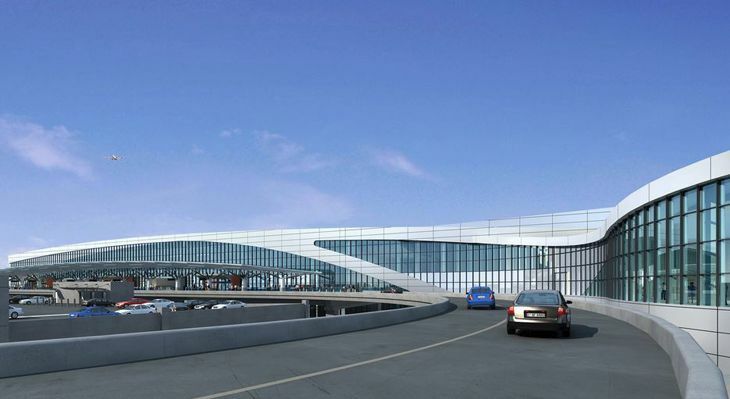 In its place, will be a new facility that will include offices, a café, and a glassed in public observation area, as the location affords views of all four runways at SFO. 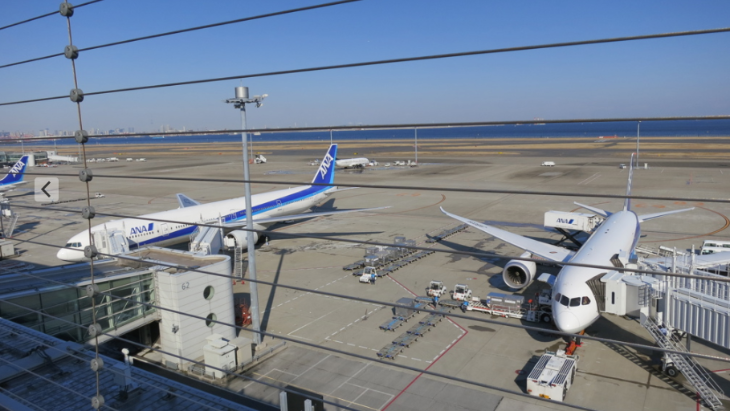 An airport spokesperson told TravelSkills that the plan is to have a pre-security entry point to the viewing area, which means you can enter it without having an airline ticket. 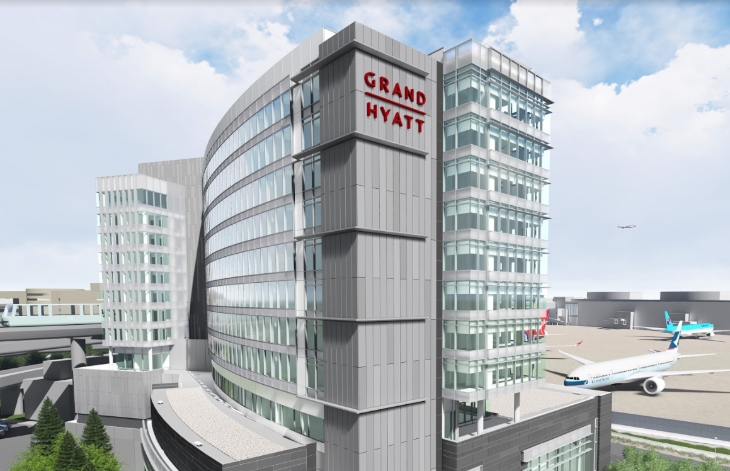 Eventually SFO will have another perch from which to peer at planes- a rooftop lounge atop the new on-airport Hyatt Regency — however its views will not be as commanding. 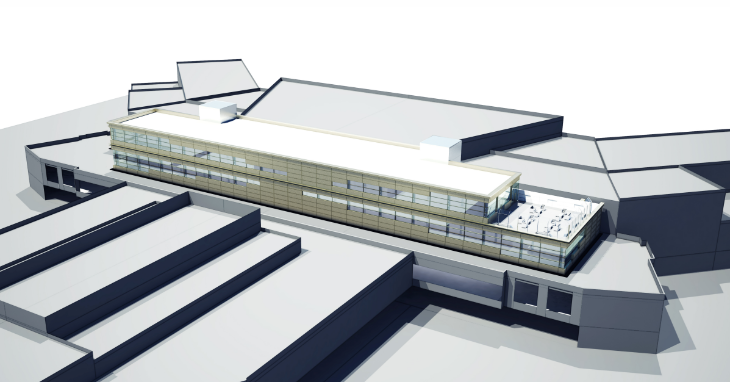 UPDATE: Check out how Alaska Airlines plans to add a new rooftop lounge and deck at SFO! 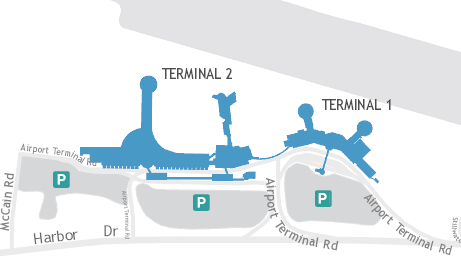 The project scope also includes an additional aircraft boarding gate in Terminal 2, anticipated to be ready for use by the end of March- just in time for Alaska Airlines big SFO expansion. All phases of the project are expected to be completed by the end of January 2019. 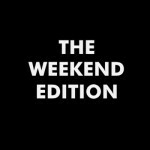 See you on the deck! Outdoor observation decks at airport are relatively rare in the US… only recently has Delta added them to Sky Clubs in Atlanta and New York. The Star Alliance lounge in LAX has one, too, but views are limited. 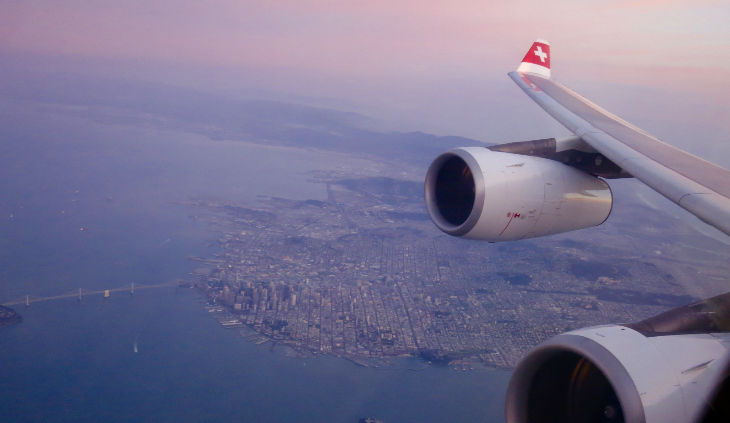 What’s your favorite vantage point for plane spotting? Visited an outdoor viewing area before? Where? Please share your observations in the comments! 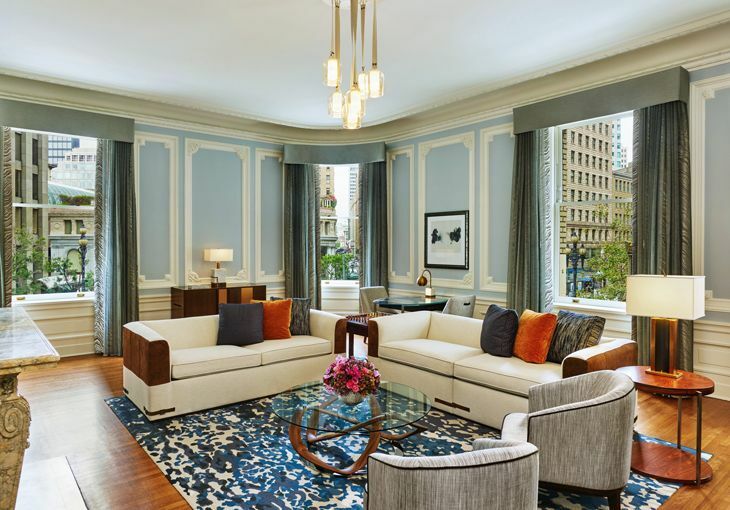 In U.S. hotel developments, Manhattan reclaims a classic midtown property and gains a new Design Hotels property in its Soho district; Marriott cuts the ribbon on a dual-branded location in San Diego; a big Hyatt Regency with lots of conference facilities makes its debut just outside of Denver; Starwood adds a new affiliate in Orange County, California; and Rosewood Hotels gains a foothold in the nation’s capital. 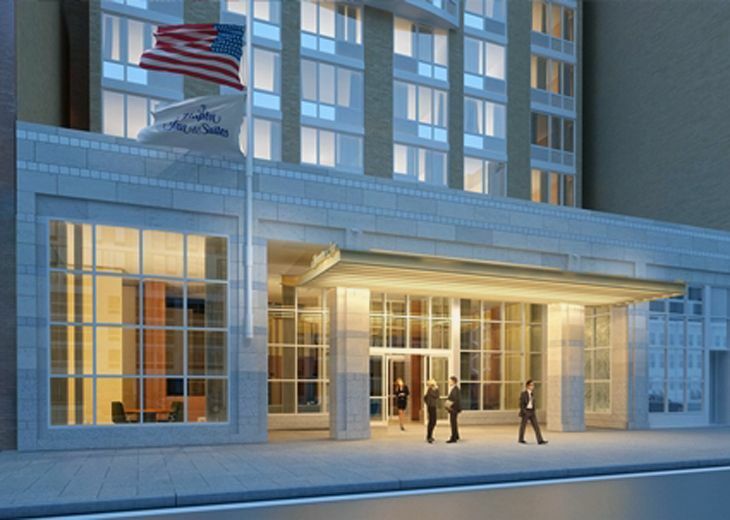 Remember the Barclay InterContinental? 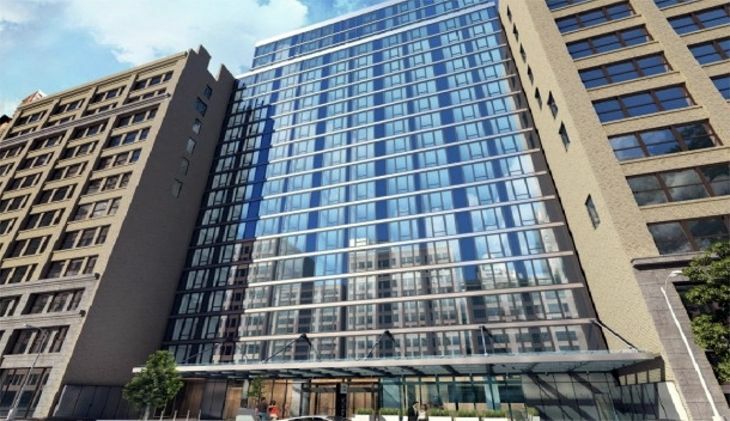 It was a mainstay of Manhattan’s Midtown lodging scene for decades, but it’s been closed for the past year and a half. 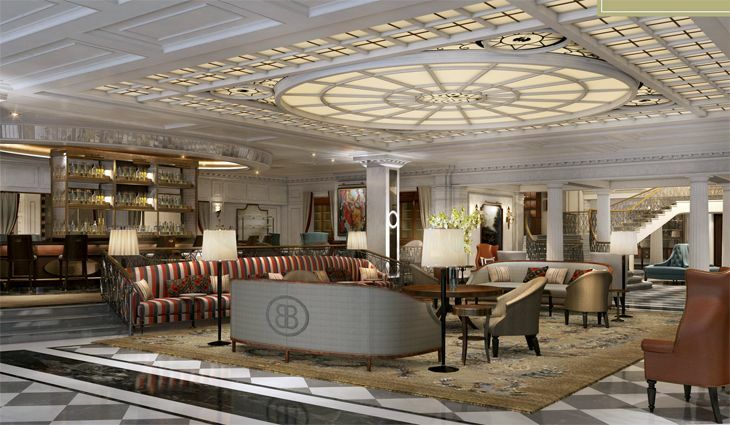 Now, the Barclay’s reopening is set for April 29 following what it calls “the most ambitious restoration in its history.” The 700-room hotel at 111 East 48th Street, originally built by the Vanderbilt family and dating back to 1926, got a $180 million overhaul that gave it renovated guest accommodations, suites, and meeting rooms; a new Club Lounge; new restaurant and bar; and a slightly revised name – it’s now called the InterContinental New York Barclay. Rates start at $366. 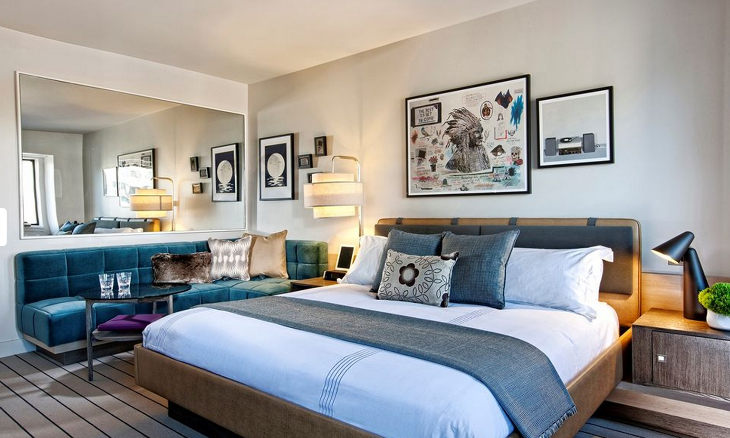 Also newly opened in New York is 11 Howard, a 221-room luxury boutique property in Soho at the corner of Howard and Lafayette streets, just above Canal Street. 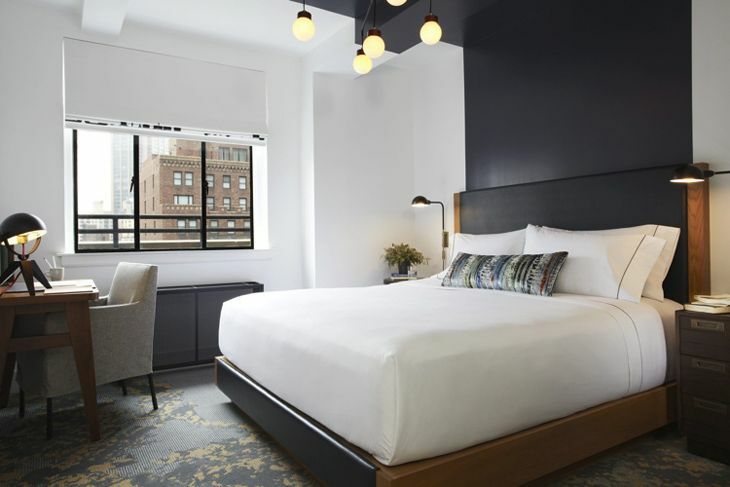 A member of the trendy Design Hotels group, 11 Howard occupies a former Post Office building and boasts Scandinavian design from its interiors to its furniture, along with innovative art (a Calder mobile suspended from the ceiling, an exterior wall covered with a mural, etc.) and a French restaurant called Le CouCou from chef Daniel Rose. 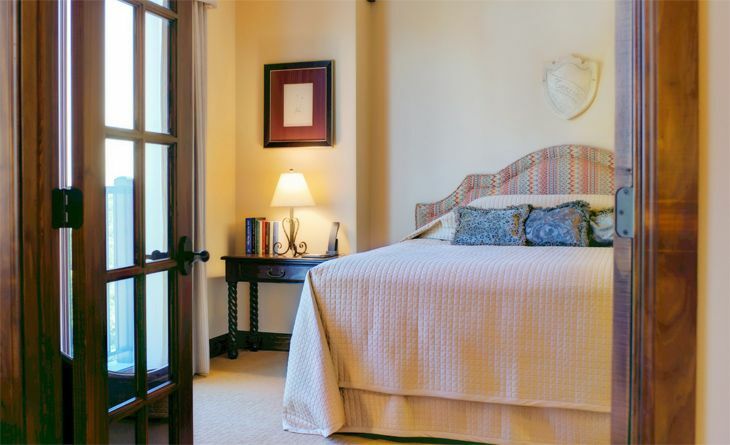 Rates range from $289 to $442. 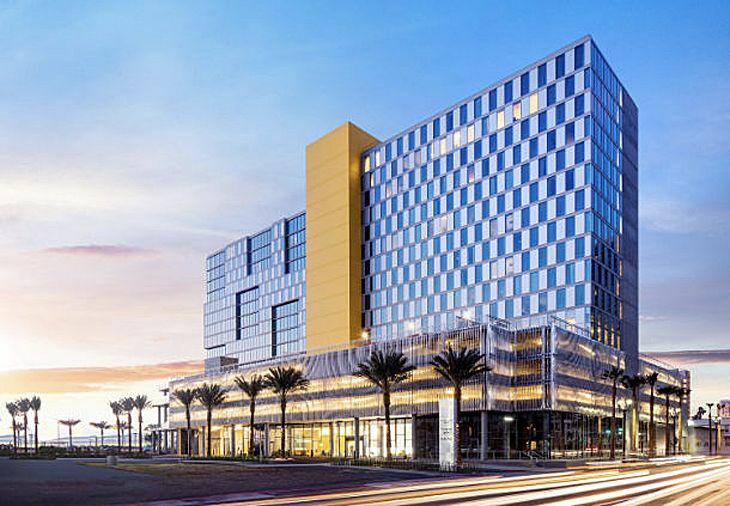 The newest accommodations in downtown San Diego are in a dual-branded Marriott property that includes two all-suite brands — SpringHill Suites and Residence Inn — in the city’s Bayfront district. Specifically, they’re at Broadway and Pacific Highway, a short walk from the USS Midway museum. 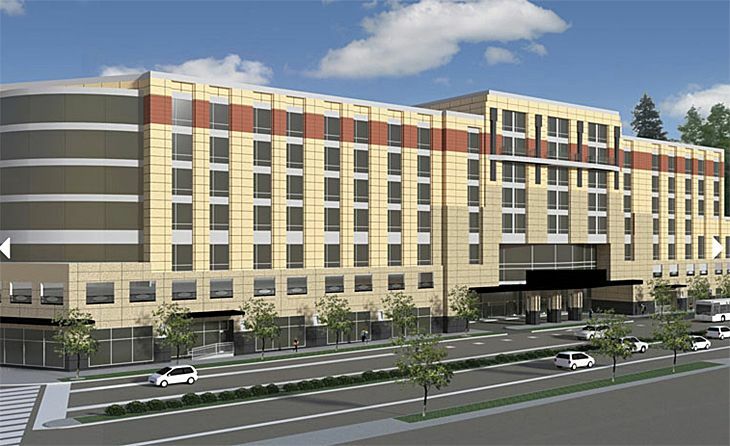 The SpringHill Suites side has 253 units while the Residence Inn has 147. 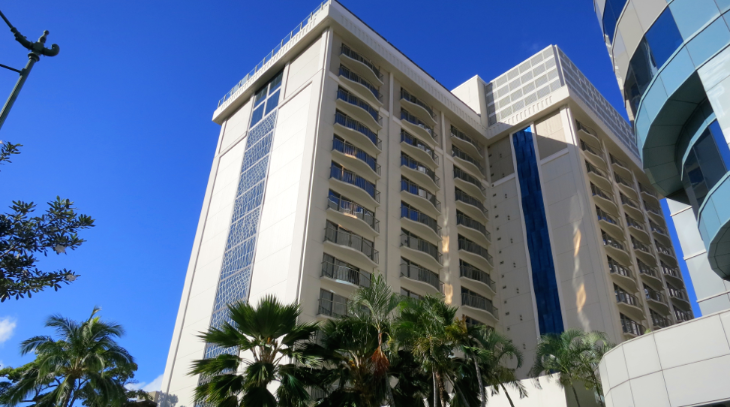 Guests are entitled to free breakfasts, and the properties share a fifth-floor outdoor pool and a fitness center. Rates start around $150 at both properties. 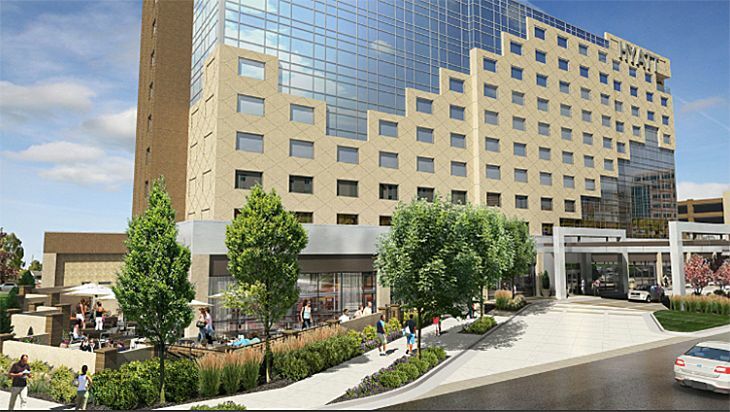 On the east side of Denver in suburban Aurora is the newly opened Hyatt Regency Aurora-Denver Conference Center, a 249-room property (including 49 suites) that will serve the big University of Colorado Anschutz Medical Campus next door with its 36,000 square feet of conference space in 15 meeting rooms. 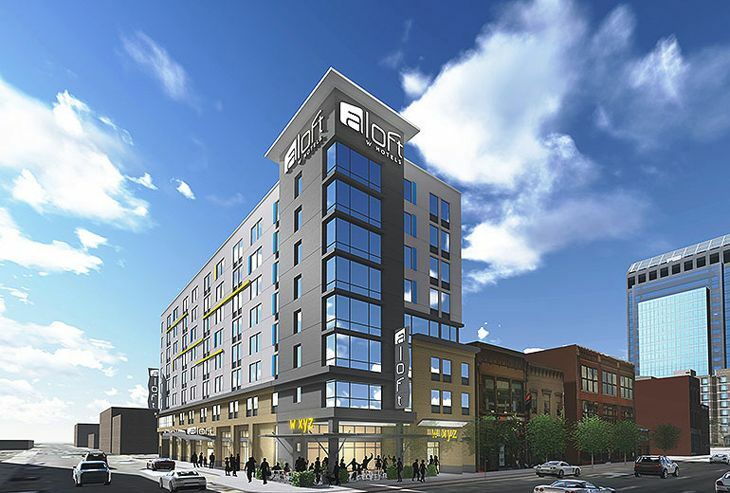 All accommodations offer Wi-Fi and 55-inch TVs. 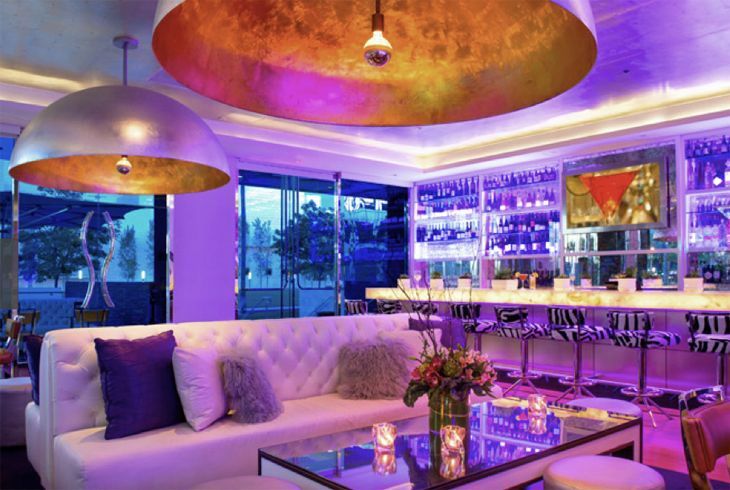 The hotel’s signature restaurant is called Borealis, with an eclectic mix of cuisines, and there’s a big fitness center, a hot tub, and an outdoor pool and deck. 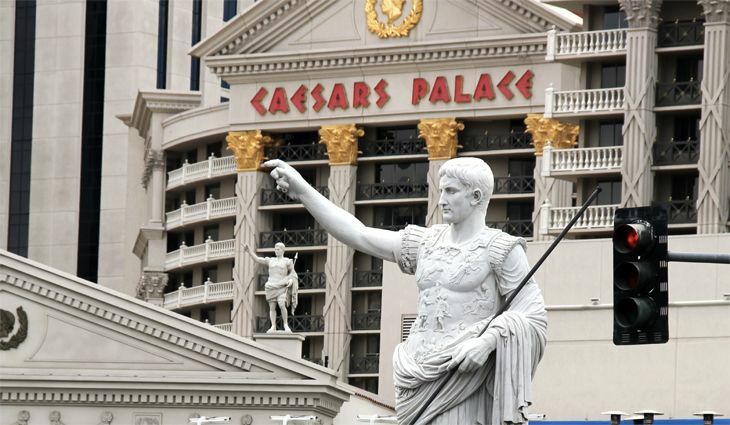 Rates start at $180 for Gold Passport members. 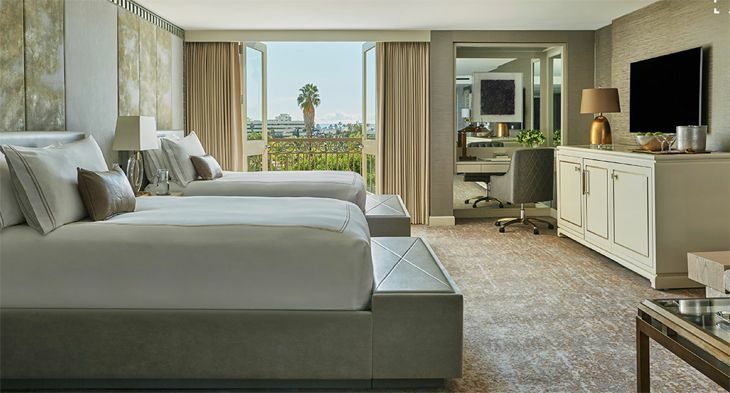 Starwood Hotels & Resorts has added a key southern California location to its Tribute Portfolio, a collection of independent properties that participate in Starwood’s reservations system and its Preferred Guest loyalty program. 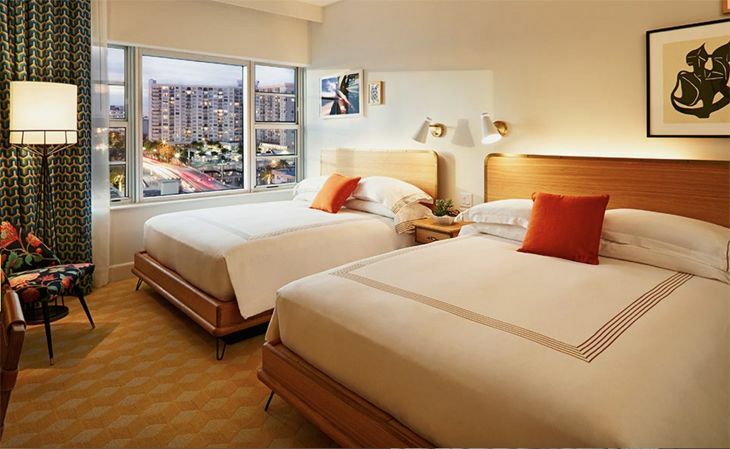 It’s the 238-room Avenue of the Arts Hotel Costa Mesa in Orange County, with a lakeside location in the city’s corporate center next to the South Coast Plaza mall. 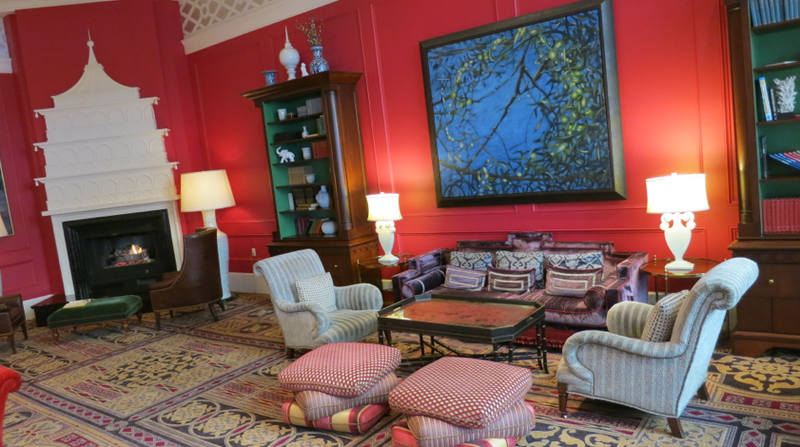 The hotel recently finished a significant renovation. Rates start at $199. 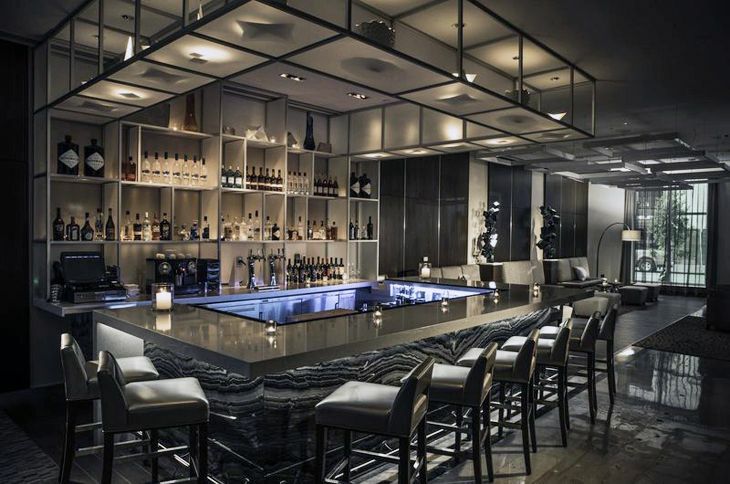 In Washington D.C., the upscale Georgetown hotel that was formerly known as the Capella Washington has brought in new management by Rosewood Hotels, which has rebranded the property as the Rosewood Washington D.C. 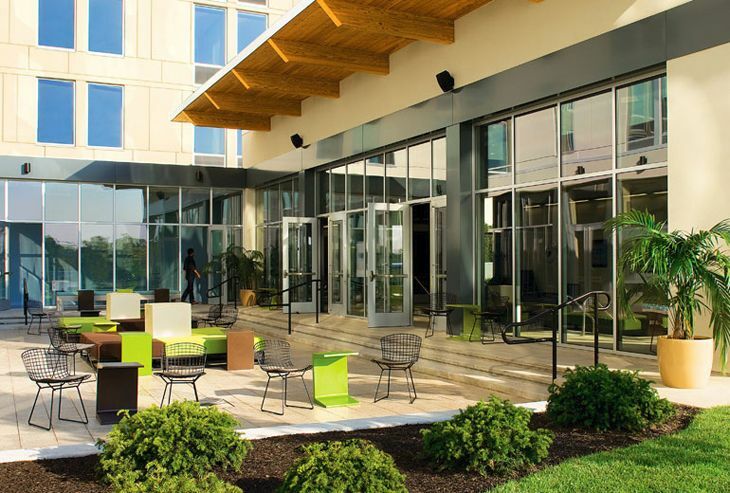 Located along the C&O Canal, the hotel is small – just 49 rooms and suites – and located in one of the capital’s most prestigious neighborhoods. 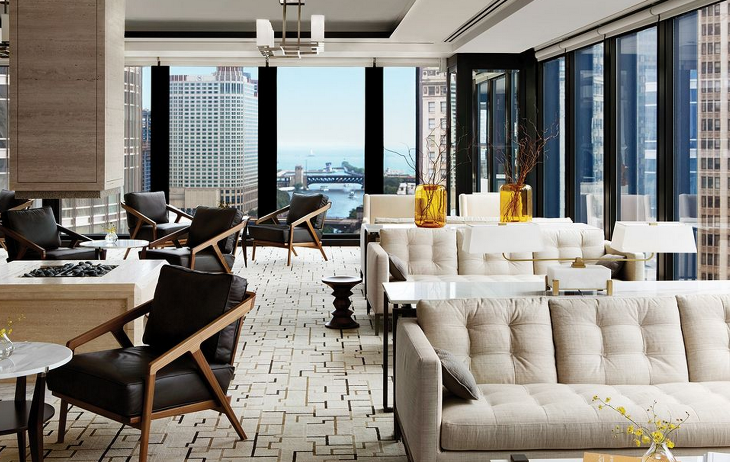 It offers dining in the Grill Room restaurant, a selection of rare rye whiskeys in the Rye Bar, and a rooftop lounge and pool. Rates start at $545. Filed Under: Hotels Tagged With: 11 Howard, Aurora, Barclay, Colorado, Costa Mesa, Denver, hotels, Hyatt, Intercontinental, Marriott, New York, Rosewood, San Diego, Starwood, Washington D.C.
Atlanta Hartsfield-Jackson will break a huge passenger record today. Harvard Business Review suggests ways to fix Uber’s surge pricing model. 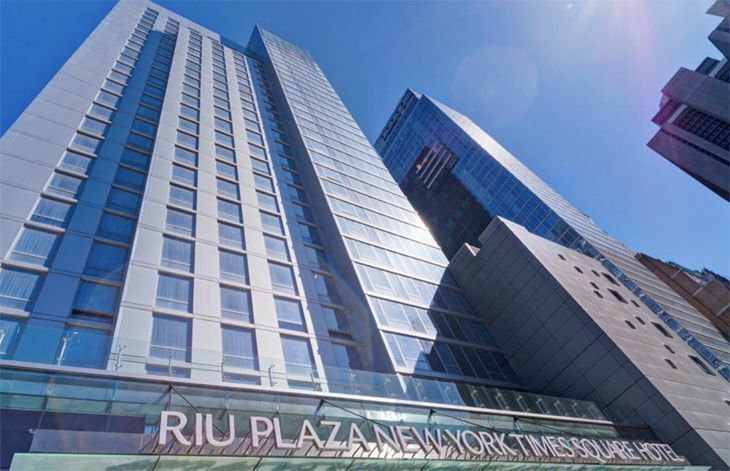 This week only: Book Marriott’s NYC hotels for up to 20 percent off. Hyatt notifies customers of computer security breach. 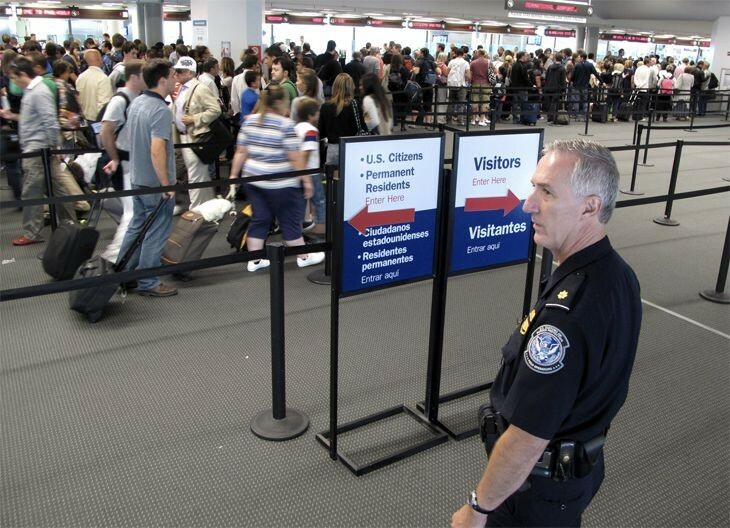 TSA may require scans instead of pat-downs for some travelers. 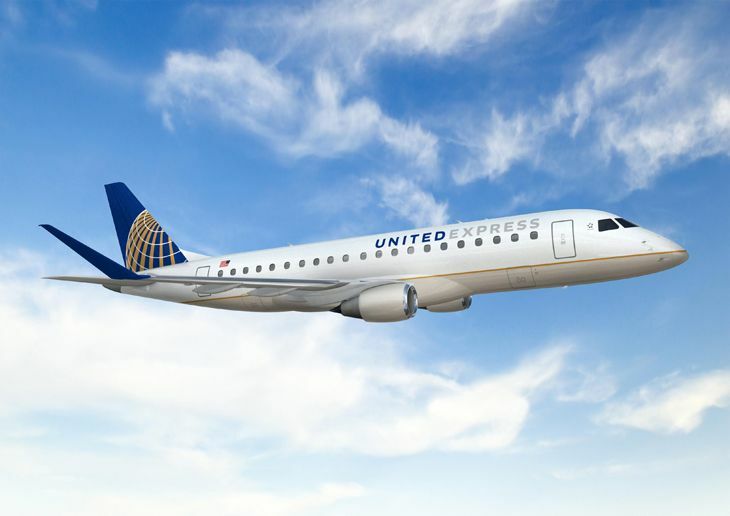 United’s new ‘Big Metal Bird’ Youtube videos explain how the airline biz works. Study says DOT’s three-hour tarmac rule led to more flight cancellations. Fiji Airways will begin twice-weekly seasonal service to San Francisco in June. New Malaysian domestic airline operates according to Islamic law. 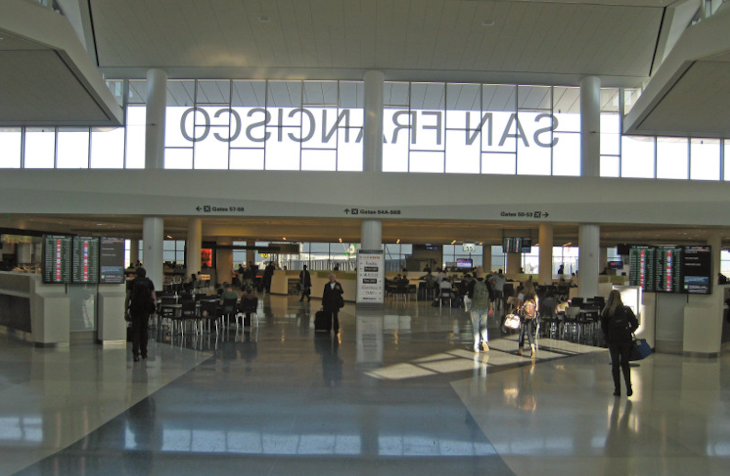 The new frontier for top chefs: airport restaurants. Today (Sunday) is the busiest travel day of Thanksgiving weekend, and although there is a nasty storm blowing through the center of the country, it’s not poised to hit any major airline hubs, so hopefully we’ll have a good end to the holiday weekend. 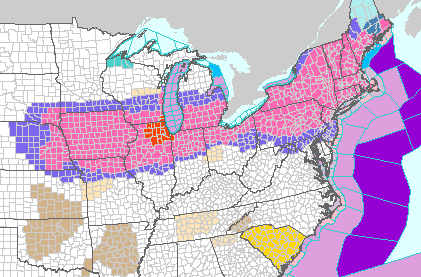 But good luck if you are flying to Minneapolis on Monday. 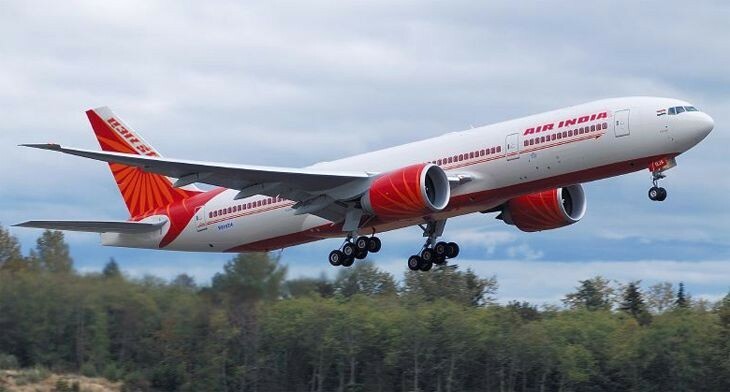 Air India arrives at San Francisco International the crack of dawn on Dec 2 this week with three weekly nonstops to Delhi. 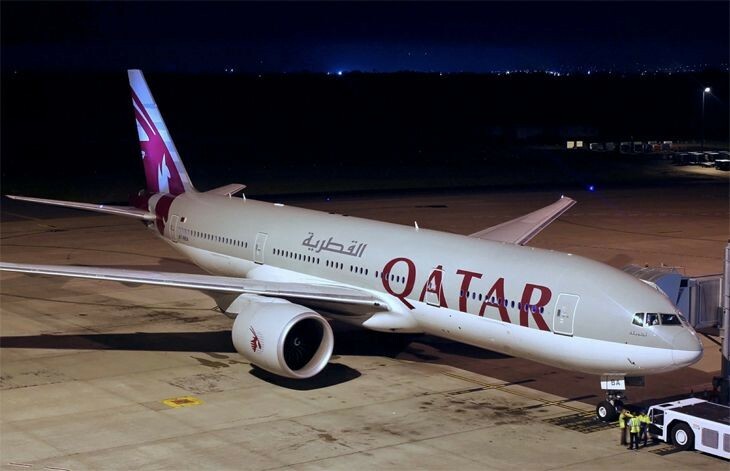 Best part about the new service: the 16-hour flight shaves 2-3 hours off the one-stop flight time on other carriers. Worst part about the new service: Air India’s B777-200LR deployed on the route does not offer a lie-flat business class seat– instead it’s angled lie-flat, which could be a deal killer for a flight that long. Current economy class airfare is just over $1,000 and business class is around $4,000-$5,000 for January roundtrips. 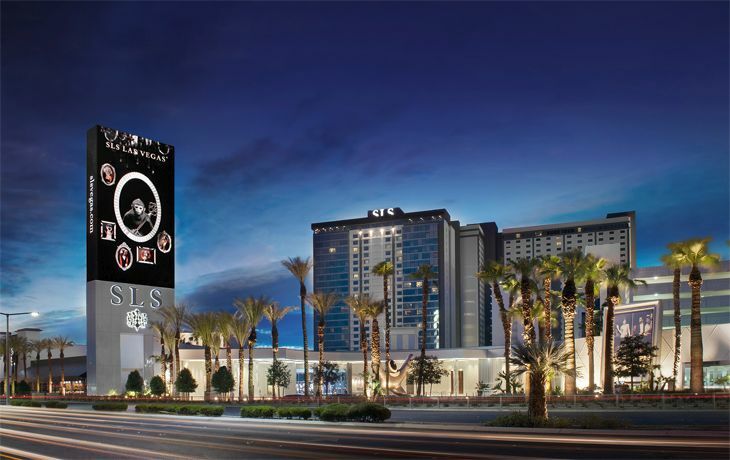 Scroll down for news about hotel elite status match opportunities! 1 Huge deals: Big airfare sale – Asia, Hawaii, India, Africa– sales end tomorrow! And stay tuned for possibly more Hawaii deals when Virgin America kicks off new SFO-Maui nonstops on Dec 3. 9 SF-Paris in an hour or so: What’s faster: Hypersonic or supersonic? 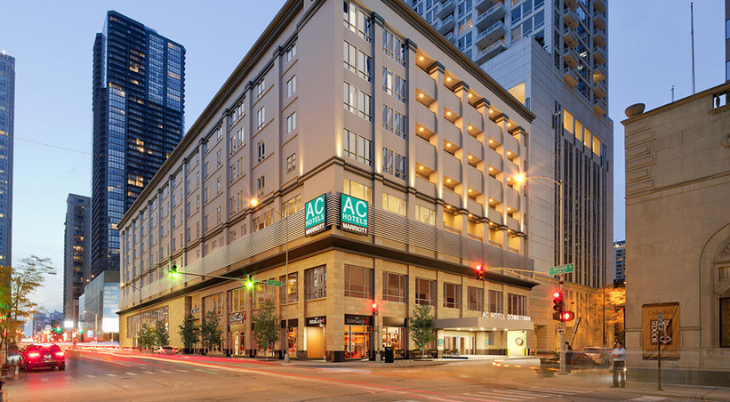 The kerfuffle caused by the Marriott-Starwood merger has competing hotel chains licking their chops, hoping to snag the biz of disaffected SPG members– or others. They are doing it via some unusual status matching options you should know about. 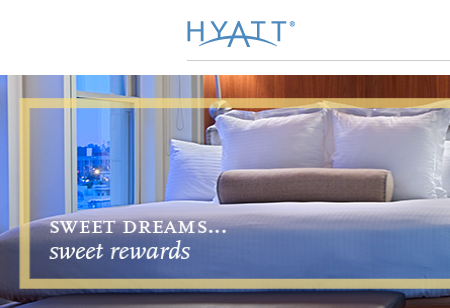 First, Hyatt will match your status, but you have to do it via Twitter. 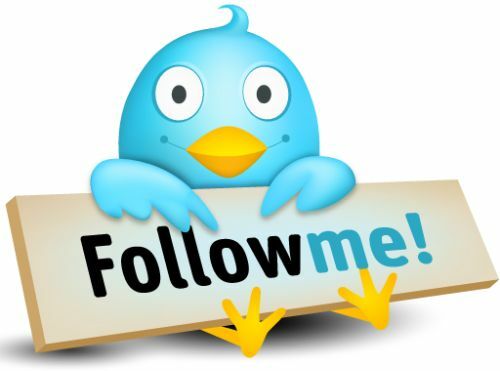 Here’s Hyatt’s come on, which requires you to DM @HyattConcierge via Twitter, and then email your elite credentials to goldpassport@hyatt.com. 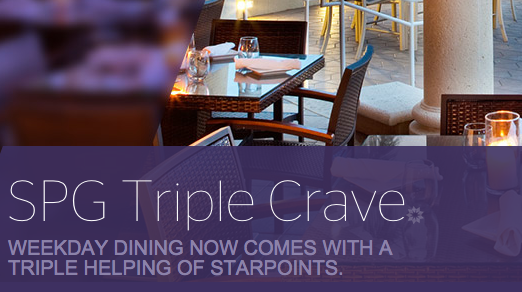 (UPDATE from Hyatt: “If you are SPG Platinum, we are offering Diamond status with Hyatt. 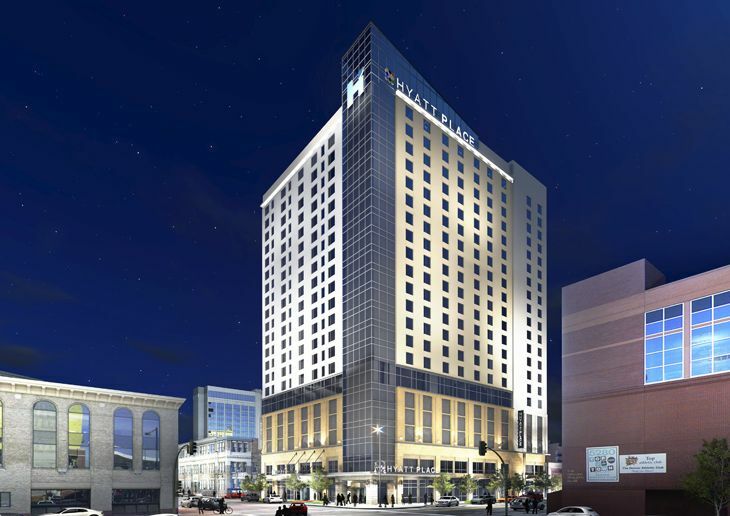 If you are any other tier with SPG, Hilton, IHG, or Marriott, we will offer a Platinum match.”) Hilton jumped in the game, too, and to get matched status, you have to email them with your current credentials from a competing program. Send it to HHonorMyStatus@hilton.com by January 11 2016 for upgraded status through March 2017. 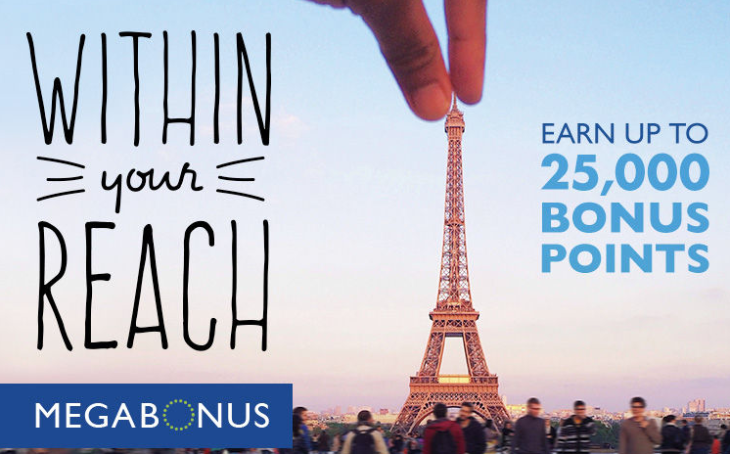 Best Western has long offered to match status with its Status Match, No Catch promotion. Here’s an interesting twist in the status matching game: MSC Cruises will match your hotel program status in its loyalty program, which offers bennies such as priority boarding/disembarkation, welcome cocktails, late check out, a free spa session and dinner for two at one of the ship’s specialty restaurants. Study identifies the country’s worst traffic bottlenecks. 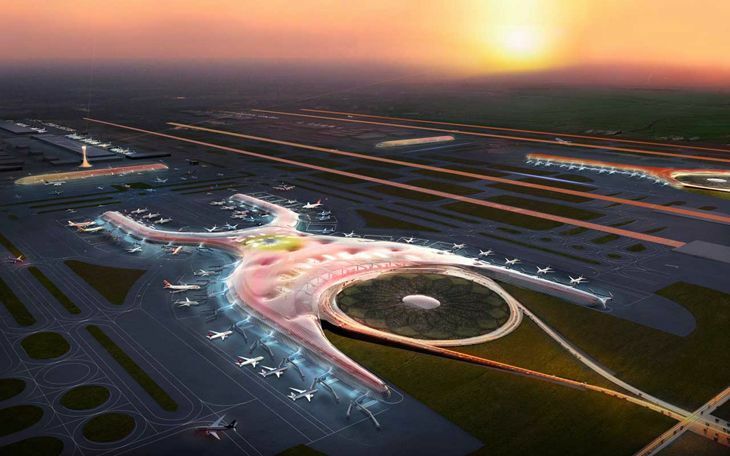 Airline group: Worldwide passenger numbers will double in 20 years. American Airlines incorporating airport information into mobile app. JetBlue begins free Amazon streaming on Fly-Fi equipped planes. 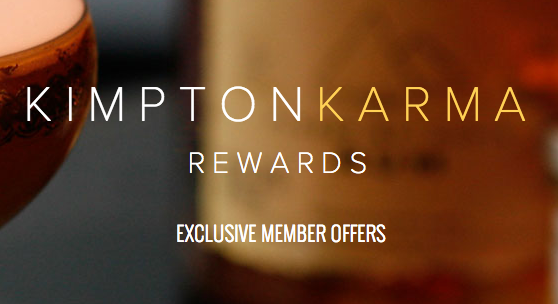 Marriott extends Rewards plan to 100 Protea hotels in Africa. 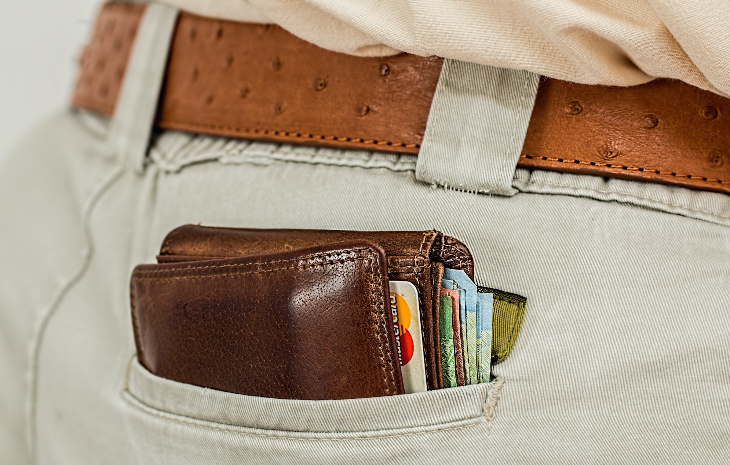 Why are chip card transactions so darn slow? 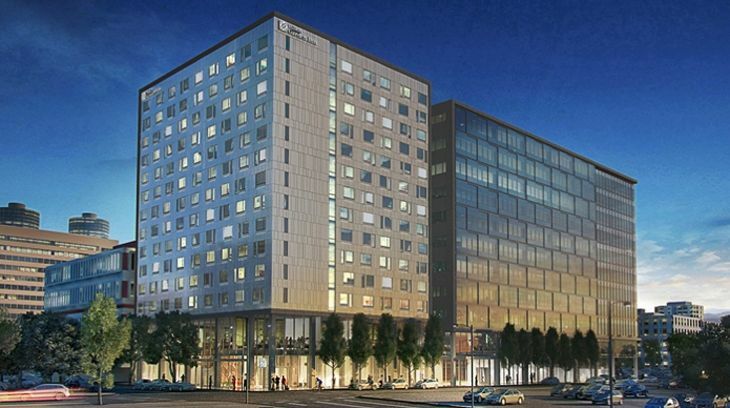 CNBC reported this morning that Hyatt may be on the verge of acquiring Starwood, as the hotel industry is following the airlines in a relentless march toward consolidation. 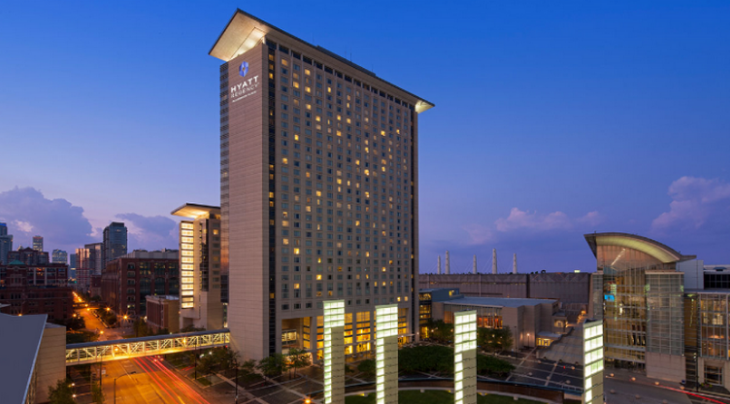 The business news channel said that the deal under discussion would let Hyatt acquire Starwood for an offer of cash and stock, and that Hyatt would retain control of the combined company. 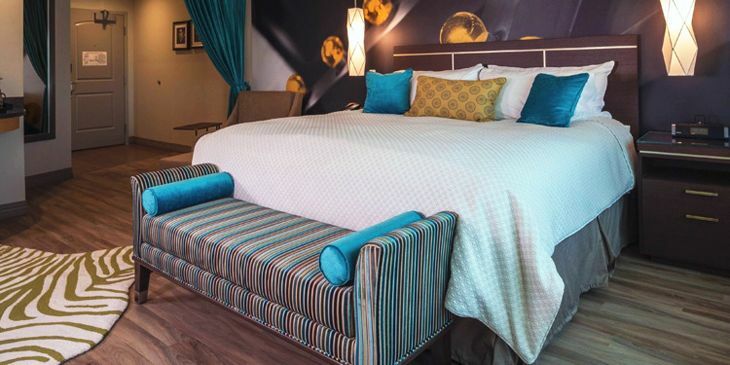 Lodging giant Starwood has been in play for the past six months, since Earlier rumors suggested that both InterContinental Hotels Group and Wyndham Worldwide might have been looking to merge with Starwood. Earlier this week, the Wall Street Journal reported that three Chinese companies were anxious to bid on Starwood, although the Chinese government wanted to select only one of them to proceed with an offer. Starwood’s inventory includes more than 1,270 properties in 100 countries, while Hyatt lists 618 locations in 51 countries. According to CNBC, Hyatt is worth $7.23 billion, while Starwood’s valuation is $12.75 billion. 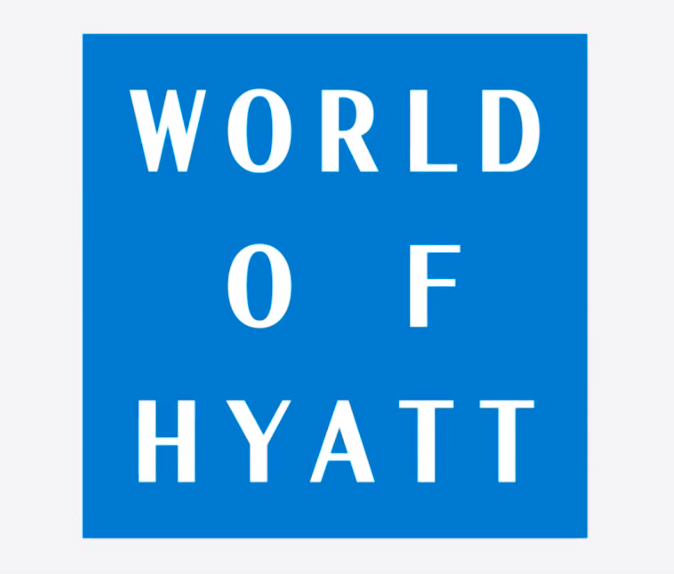 Hyatt’s brands include Andaz, Hyatt Regency, Hyatt Hotels, Park Hyatt, Hyatt Place, Hyatt House, Grand Hyatt, the new Hyatt Centric and a couple of small resort brands. 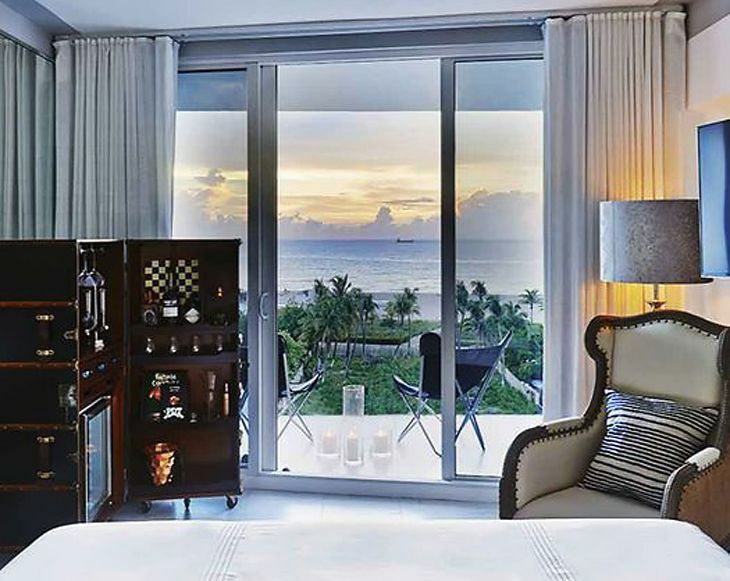 In Starwood’s brand stable are The Luxury Collection, St. Regis, W, Westin, Le Meridien, Sheraton, Four Points, Aloft, Element, and the Tribute Portfolio (a collection of independent affiliated hotels that use Starwood’s reservations system and participate in its loyalty program). 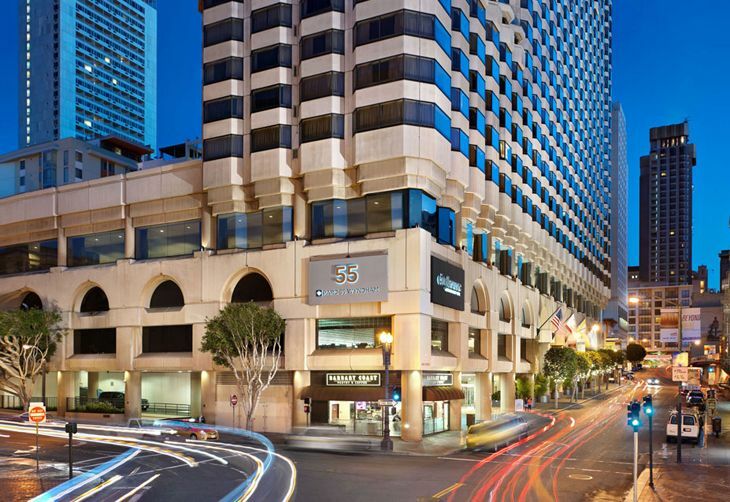 Which brand would you prefer to see stick around after such a merger: Hyatt or Starwoodk? Why? Please leave your comments below. 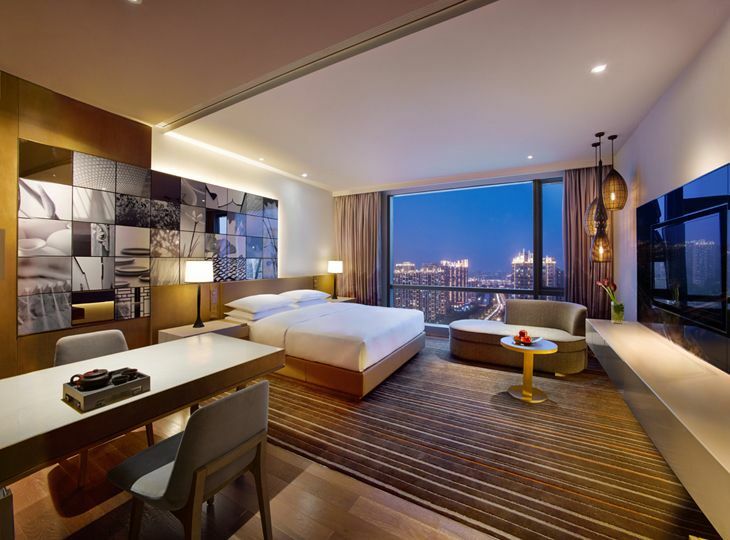 The latest overseas openings of business hotels include a JW Marriott in Mumbai and luxury properties from Starwood in Moscow, Milan and Kyoto, among others. 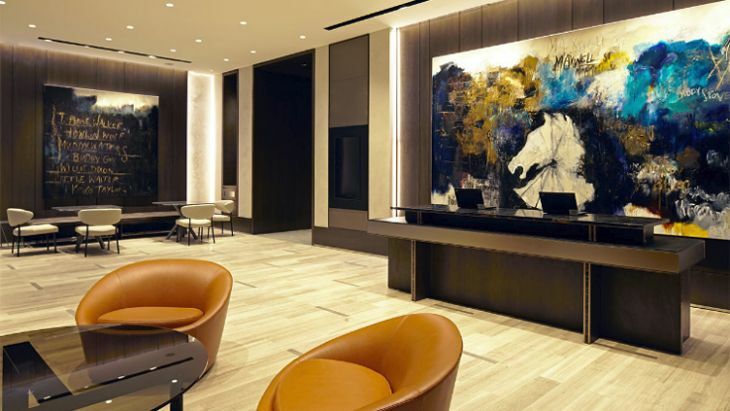 Marriott’s second hotel in Mumbai is the newly opened JW Marriott Mumbai Sahar, on a 15-acre site just half a mile from Chhatrapati Shivaji International Airport. The 585-room property has four dining venues, lots of meeting space, and a Spa by JW. 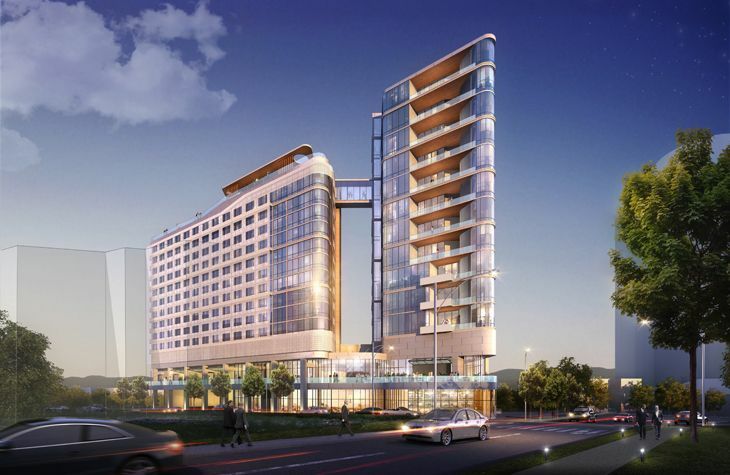 Elsewhere in India, Hyatt has cut the ribbon on the Hyatt Regency Ahmedabad, the group’s first hotel in the state of Gujarat. It has 210 rooms and suites, Chinese and Italian restaurants, and views of the Sabarmati River. 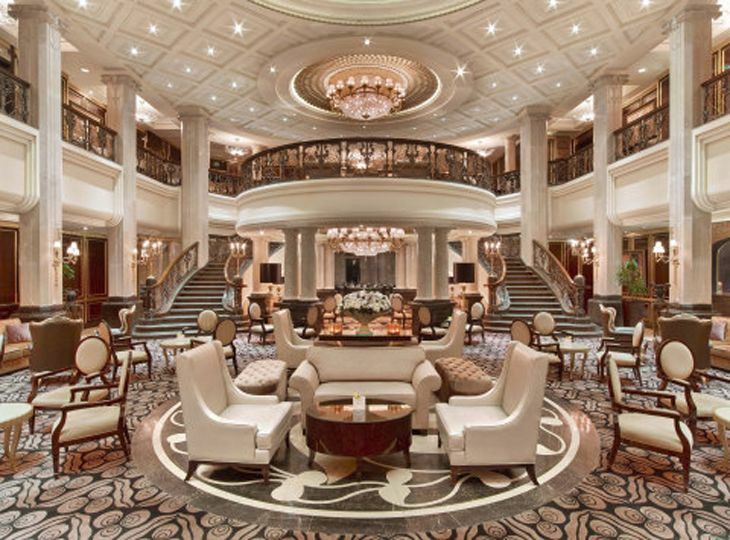 In Russia, Starwood has opened the St. Regis Moscow Nikolskaya, a 210-room property that was originally built in the 1870s as the residence of a nobleman. It’s on Nikolskaya Street close to Red Square, the Duma (parliament) and the Kremlin. 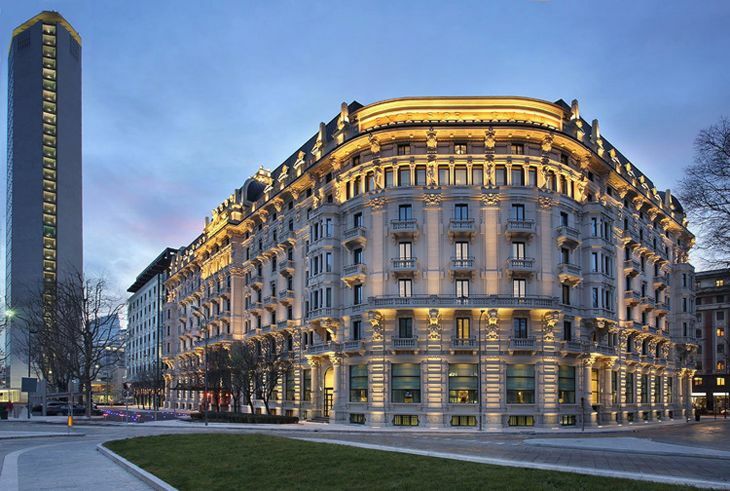 Elsewhere in Europe, Starwood has opened the new incarnation of the landmark Palace Gallia Hotel in Milan; it’s now the Excelsior Hotel Gallia, a Luxury Collection Hotel. 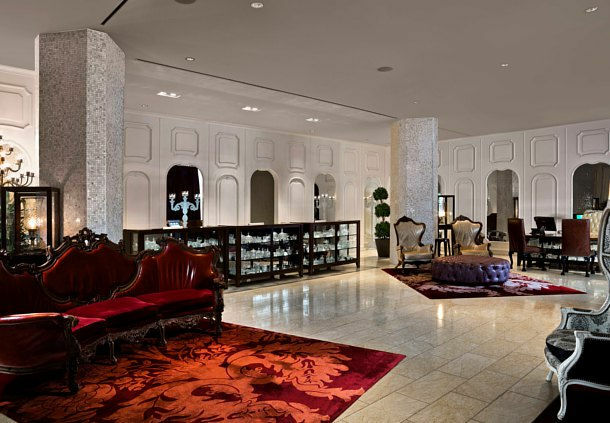 The original building was recently restored and added a contemporary wing; the hotel’s 253 rooms include 53 suites. 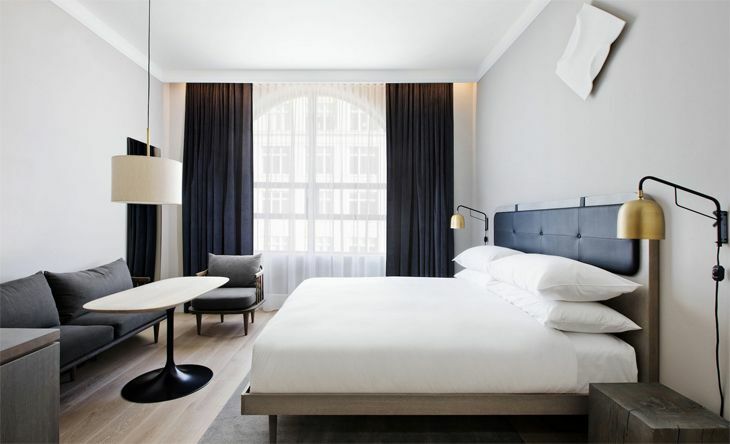 And in Germany, the former Wyndham Grand Berlin Potsdamer Platz in the nation’s capital city has been converted to the Crowne Plaza Berlin and become a member of the InterContinental Hotels Group. 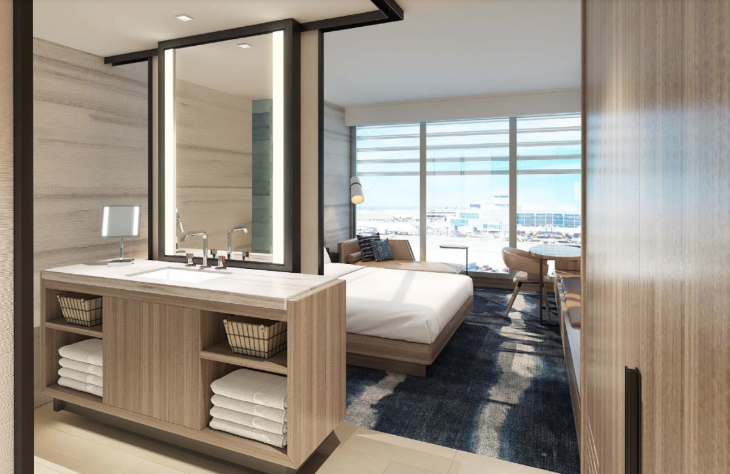 InterContinental Hotels Group also has a new property in the Middle East: The InterContinental Dubai Marina has 132 rooms and 196 serviced residential suites, along with a number of food and beverage outlets. 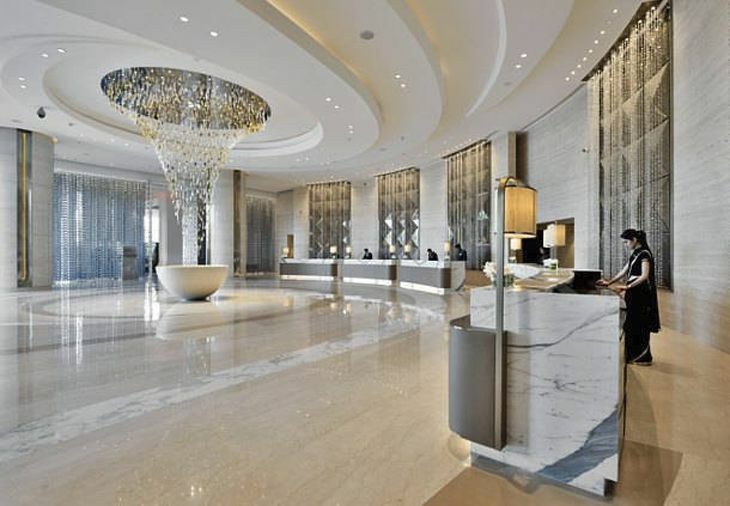 Starwood also has a new entry in Dubai, the newly opened Sheraton Grand Hotel on Sheikh Zayed Road near the Dubai Metro station. 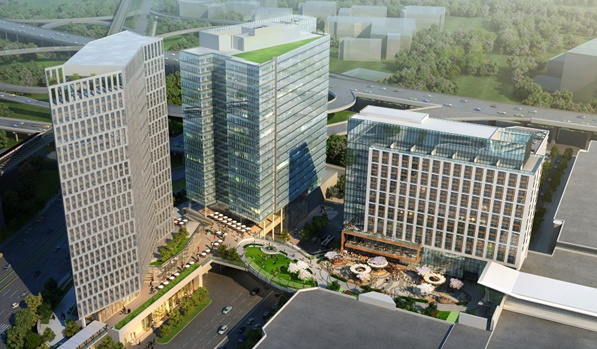 The 54-story, 416-room Sheraton is part of a three-tower mixed-use development. 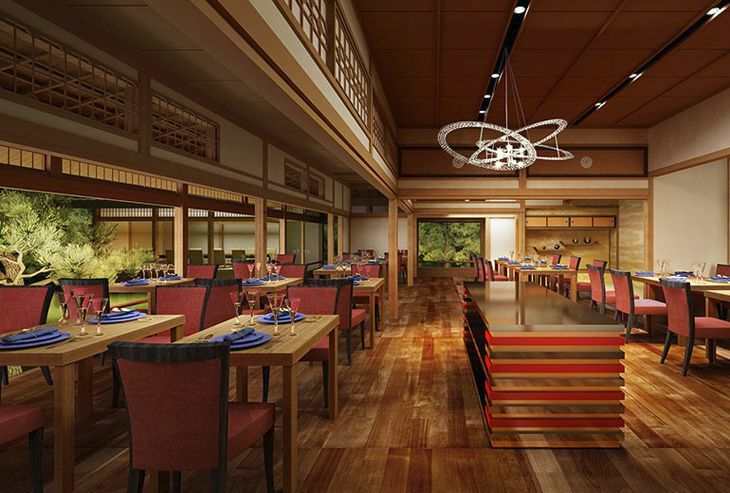 And in Japan, Starwood has a new Luxury Collection property in Kyoto: Suiran, in the Arashiyama district in the western part of the city. With just 39 rooms offering traditional Japanese design, it is on the grounds of a temple in the midst of a world heritage site. AirTran’s legacy for Southwest. 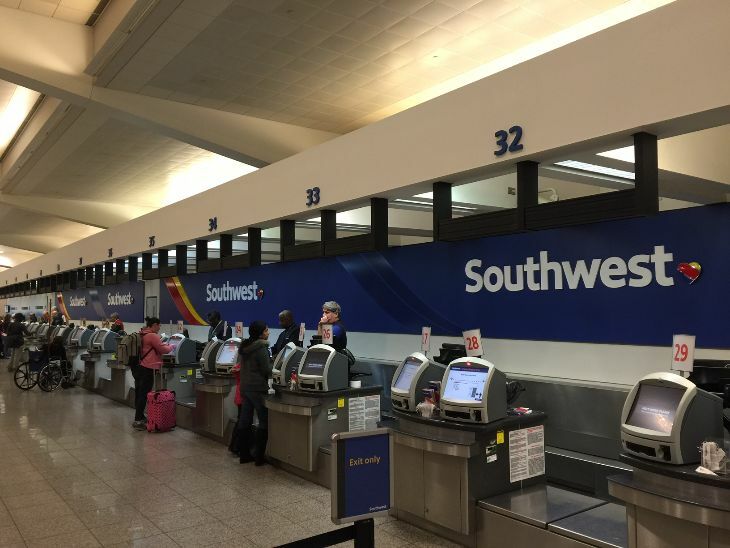 With Southwest subsidiary AirTran Airways due to fly off into the pages of aviation history this week as its last remnants are fully absorbed into its parent airline, Forbes takes a look at just what AirTran has brought to the larger carrier. Besides making Southwest the largest U.S. airline (in passengers flown), AirTran has given it international routes, a bastion in Delta’s fortress hub at ATL, and set the stage for new domestic growth. The magazine also notes that Southwest’s integration of AirTran was one of the smoothest mergers of the past several years. Here’s a good WABE/NPR report on AirTran’s final flight. What do you remember most about AirTran? What will you miss most? Please leave your comments below. More summer Europe routes: UA, DL. United and Delta have both announced additional seasonal summer service to Europe. United plans to fly from Chicago O’Hare to Rome from June 3 to September 23, using a three-class 777. Delta will begin 767-300 flights from Atlanta to Dublin five days a week on March 29, increasing to daily June 1; 757-200 service from New York JFK to Stockholm four times a week as of June 5, increasing to five a week June 15; and 757-200 flights from JFK to Malaga, Spain beginning with five weekly frequencies June 4 and increasing to daily on June 29. 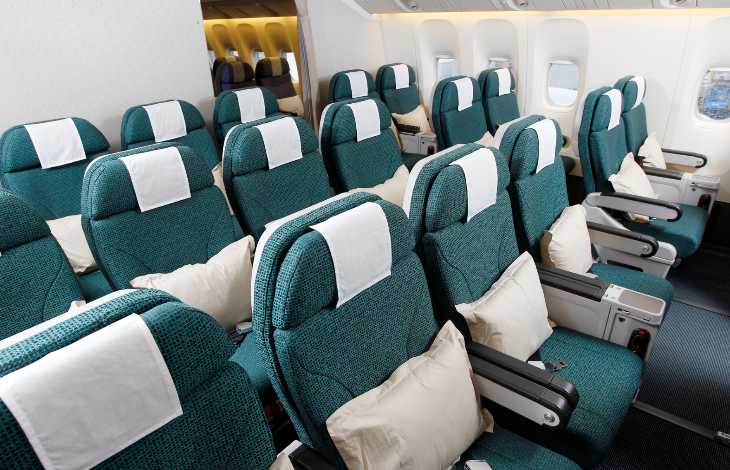 Good news: More summer flights to Europe usually means better award seat availability. Hyatt’s free Wi-Fi: Everyone, everywhere. 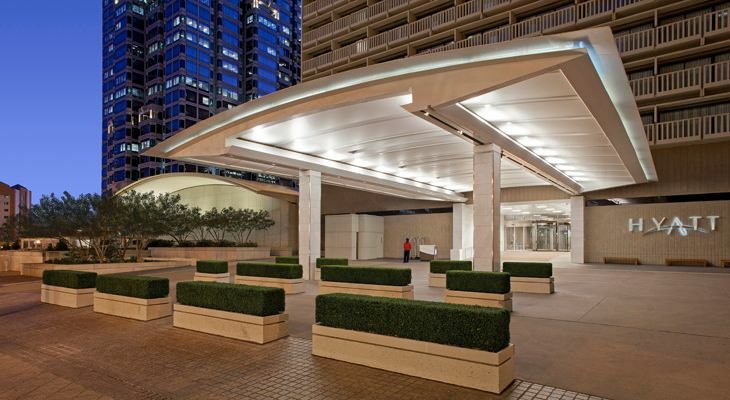 Just days after Starwood Hotels matched Marriott by saying it would offer free standard Wi-Fi systemwide to members of its Preferred Guest program who book directly through a Starwood channel, Hyatt has upped the ante on those two lodging giants. 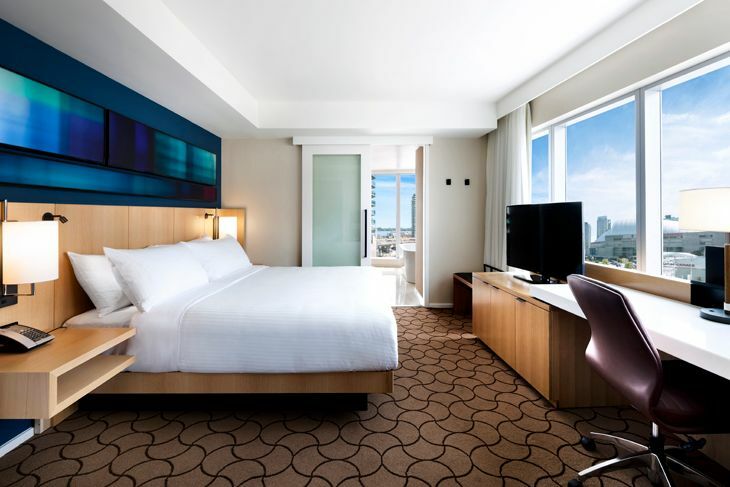 Starting in February, Hyatt said, it will offer free Internet in all guest rooms and public spaces of all its brands worldwide — and you don’t have to book through a Hyatt channel or even be a member of Gold Plus Rewards to get it. “Internet connectivity is no longer an amenity. It has become an integral part of travelers’ daily lives and a basic expectation,” said Kristine Rose, Hyatt’s VP for brands. “Travelers shouldn’t have to remember which brands or locations offer it for free or the strings attached to get it.” Currently, free Wi-Fi at Hyatt is limited to certain brands and to elite Gold Passport members. The company noted that where it is available, Gold Passport Diamonds and Platinums will get a free upgrade to premium Wi-Fi service. 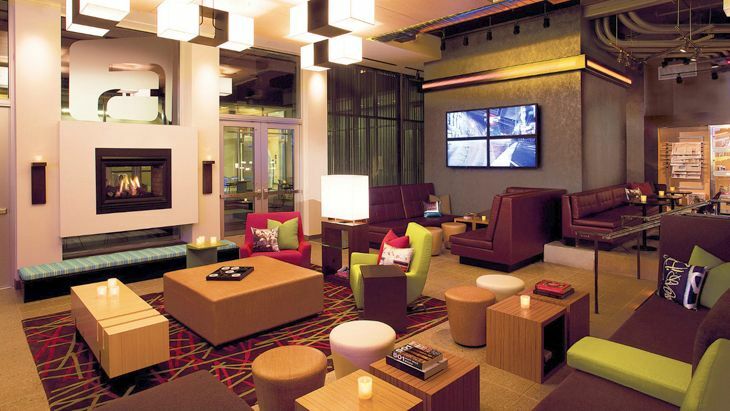 Free hotel Wi-Fi: Great perk or gimmick? 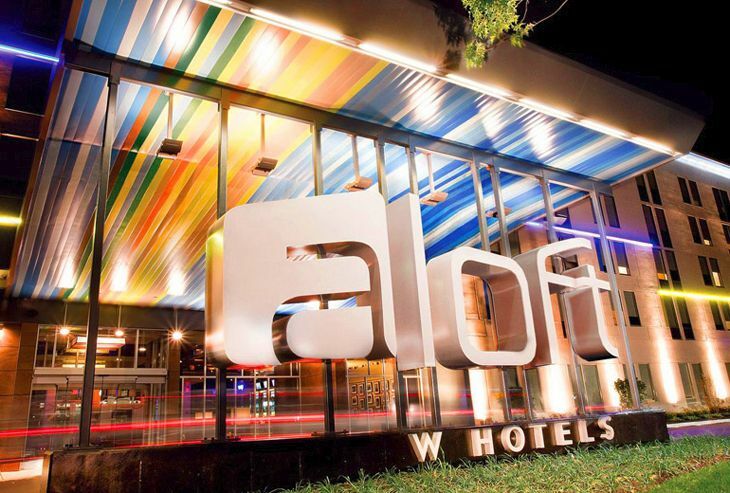 Now that Marriott, Starwood and Hyatt have all announced plans to offer free Wi-Fi systemwide in the weeks ahead — launching a bandwagon that other chains are likely to jump on — travelers will have to judge whether the free version is fast and reliable enough. In each case, the three hotel companies will also provide “premium” Internet access for free to the top elite members of their loyalty programs. 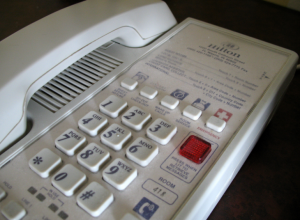 As Starwood defines it, “Standard Internet access is sufficient for web browsing and emailing. Premium Internet access allows for streaming content and downloading large files.” But those are fairly vague definitions. With increasing numbers of travelers carrying more and more devices, all siphoning data through that same “standard” Wi-Fi pipe, will current hotel systems be sufficient for the demand? 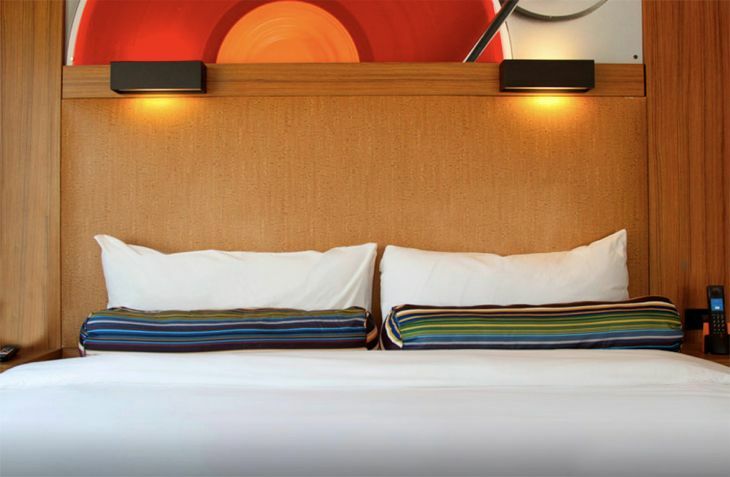 Gary Shapiro, president of the Consumer Electronics Association, suggested in a USA Today column last week that it’s time for the lodging industry to develop common standards for the levels of Wi-Fi connectivity hotels offer their guests, with clear guidelines as to who gets what, and for what cost (if any). 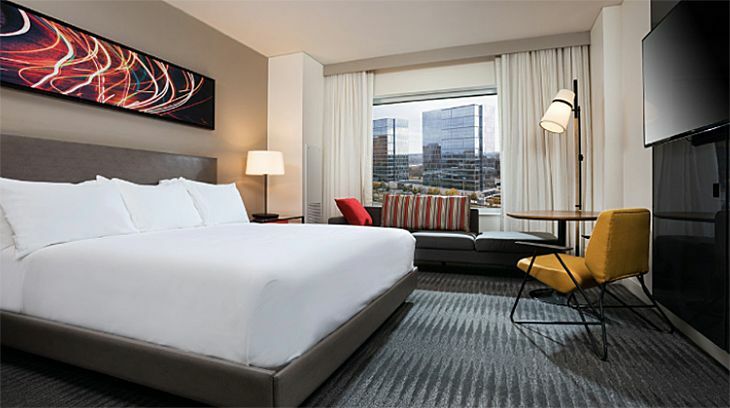 In our own reader poll, conducted after Marriott started the free standard Wi-Fi ball rolling in October, only 28 percent were happy with a basic Wi-Fi connection, while 54 percent said they would use it, but it was “frustrating,” and 18 percent preferred to pay for a faster link. What’s your opinion on this issue? Share your comments below. 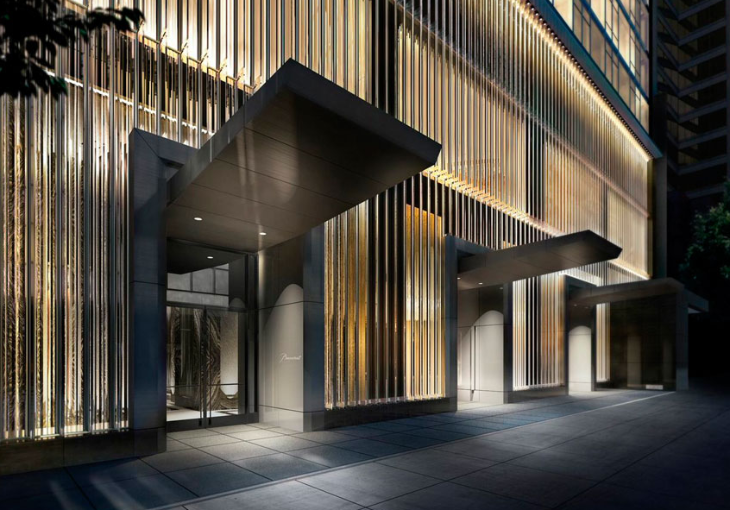 Openings, rebrandings: Marriott, Starwood, Four Seasons, etc. 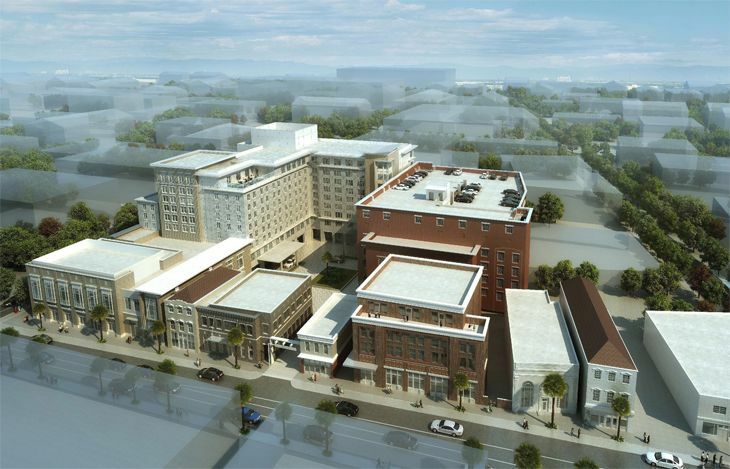 The first U.S. property in the AC Hotels by Marriott brand — which has 75 locations in Europe — opened this month in New Orleans. 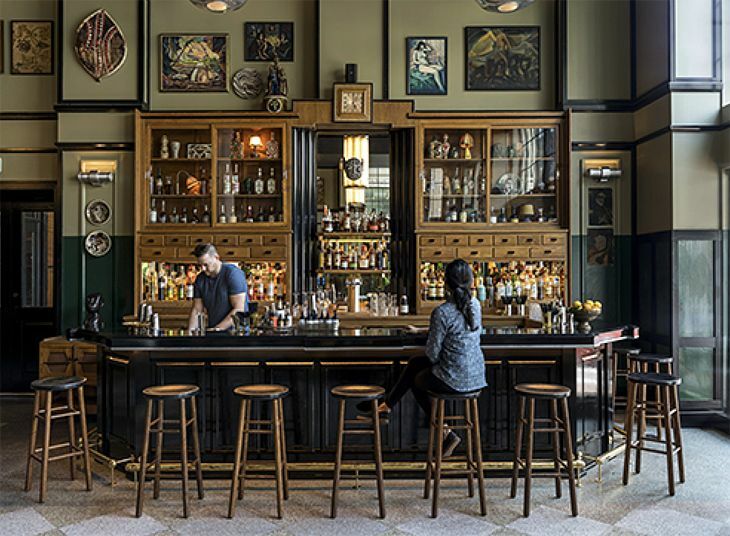 The AC Hotel New Orleans Bourbon is in the old cotton exchange building on Carondelet Street at the edge of the French Quarter … Also newly opened in The Big Easy is Starwood’s 410-room Le Meridien New Orleans, a remaking of the former W Hotel … There’s a second new Le Meridien in the South: Le Meridien Charlotte, close to that city’s Uptown Business District, is a transformation of the hotel previously known as the Sheraton Charlotte and the Charlotte City Center Hotel … Philadelphia will lose its Four Seasons Hotel in June, when the property is due to close for renovations before reopening under an as-yet-unnamed brand … Newly opened in the heart of downtown Miami is the YVE Hotel Miami, an upscale concept property that will, for instance, offer its guests bikes, scooters and Car2Go vehicles to get around town … Outside the U.S., the former Four Seasons Hotel in Dublin, Ireland, will become the InterContinental Dublin on January 1 … In Colombia, Starwood has cut the ribbon on the 168-room W Bogota in the center of town, its third W property in Latin America. SkyTeam aligns priority perks. Delta’s SkyTeam global alliance — which includes Air France, KLM and 17 other carriers — said last week it has become the first alliance “to deliver aligned priority services worldwide” for Elite Plus, first and business class customers at some 1,000 airports. 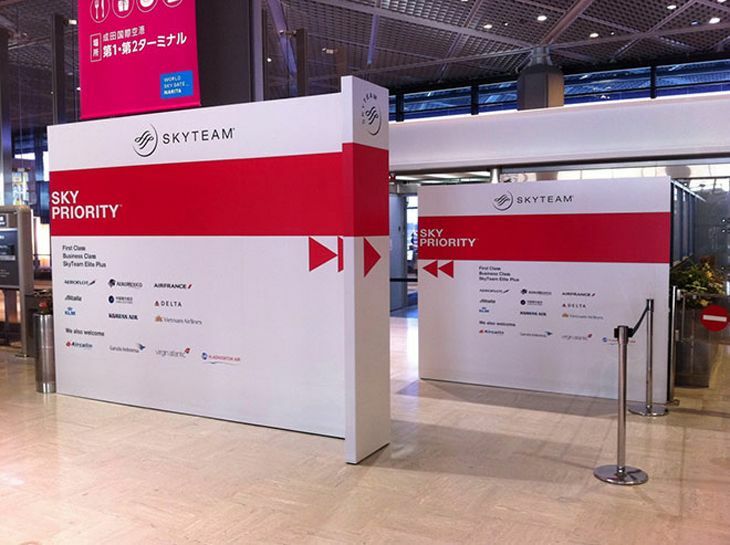 And at the world’s top 60 airports, SkyTeam said, it is currently rolling out SkyPriority Fast Track lanes at security checkpoints (already at 39 locations) and immigration (now available at 21 airports) for its premium flyers. The global program offers premium customers priority check-in areas and baggage drop-off, priority service at ticketing and transfer desks, and priority boarding and baggage handling. 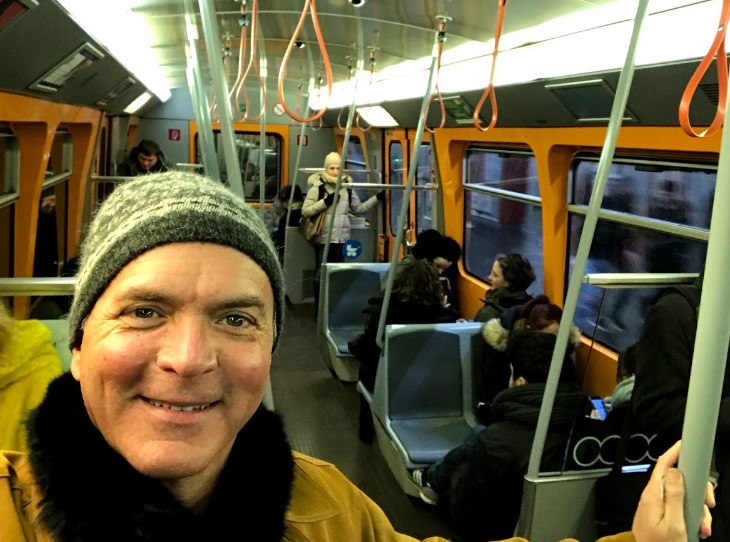 Readers: What’s your experience with finding common procedures and policies in place when you connect across global alliance partners? Any problems? Sydney gets two new lounges. The International Terminal at Sydney, Australia’s airport has added two new lounges for weary travelers. American Express has cut the ribbon on a new Lounge that seats 60 and offers Wi-Fi, power outlets, food and beverages and more. It’s open to AmEx Platinum and Centurion cardholders for free, and to other AmEx cardholders for $55. Meanwhile, Delta’s SkyTeam alliance also has a new lounge at SYD, with seating for 150 travelers as well as showers, massage chairs, food and beverage service and Wi-Fi. It’s available for business class passengers on SkyTeam carriers, and for elite members of their loyalty programs. American ups the mileage ante for premium flyers. Evaluating new hotel discount websites.